There are few out there that would argue the Chevrolet Corvette is a slouch at the race track. The iconic American sports car is born and bred on the track with even the entry-level trims capable of holding their own right from the dealership lot. However, over time, parts wear out, becoming less effective than they were new. This can happen to a suspension, too, which can dampen the Corvette’s track-day prowess. You could replace the suspension with OEM parts made from traditional steel, but you may want to shop around. 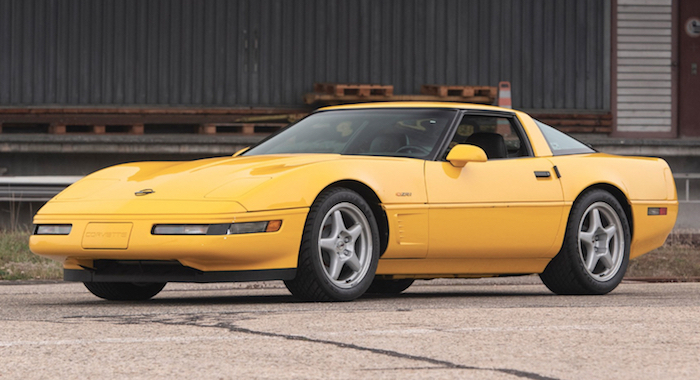 Hyperco, an automotive aftermarket suspension company, has some revolutionary composite leaf springs available for certain Corvette generations. Hyperco offers two different types of composite leaf springs—its High Performance Street Series and its High Performance Track Series. The names alone should tell you the differences. The HPS series composite leaf springs provide improved cornering ability, road feel, and response while still offering a quiet and comfortable ride, according to the company. The springs also come with ride height adjusters, providing a range of tuning options. The HPT series of springs are suited for autocrossing, track days, and competitive racing events. These also come with Delrin pad-equipped height adjusters. Composite leaf springs offer a host of benefits, too. According to Hyperco, composite leaf springs are 70 percent lighter than traditional steel units—which is great if you’re looking to remove weight from your Corvette. The composite springs don’t corrode while providing “more side bite off the corners. Also, customers have reported composite leaf springs lasting five times the life of traditional steel leaf springs. Hyperco also boasts their composite springs retain their designed arch, which helps prevent sagging and chassis inconsistencies. Hyperco composite leaf springs aren’t made for every Corvette though. The HPS series springs are available for the C3, C4, and C5 Corvette while the HPT series springs are only available for the C5 and C6 Corvette. Pricing ranges from $359 to $644 depending on the series of springs and the generation of Corvette. Hyperco makes a plethora of suspension parts for other General Motors vehicles such as the Chevrolet Camaro.